Are you looking for a trade school program in the United States but you don’t have all the time in the world to complete one? Then, you may be looking for the top 6-month trade school program that will give you a respectable qualification. The great thing about a trade school program which you can do in a period as short as six months is that you will be at work much earlier than someone taking a longer course. Of course, there are people who will tell you that short programs equate to low pay. This is simply not true as you can see in this article we did earlier about obtaining short-term training for good paying jobs. Drive down the road in a big city and you are guaranteed to see an accident. Whether small or big, the owners of the vehicles involved have to get them repaired. Nowadays, cars have generally become more advanced and hence the need for qualified people to handle work when the car panel needs to be repaired. A course in this area will give you the skills such as restoration of a vintage car, repairing a vehicle damaged in an accident. Specific tasks you will learn involve repairing or replacing body panels, straightening damaged frames, sanding, and painting vehicles. Even though some people work in this field without a formal qualification, many of those who access such qualifications find themselves climbing the career ladder much faster. The good thing also is that you do not need to spend a lot of time in college; programs in this field range between six months and 1 year. After three to four years hands-on training, you’ll become an expert in the field. Some of the popular schools in the US where you can get training in this trade include the Lincoln Tech, the Pennco Tech , and the Automotive Training Center. Wood has been a part of human life for a long time. It is useful in a number of areas such as construction and making of furniture. The work of a carpenter will always be available. If you enjoy working with your hands and creating stuff using wood, a short training course in this area could just be what you need. 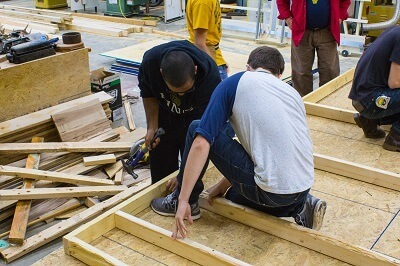 Some of the skills you will learn from this training will include framing, roofing, and exterior finishing. If you want, you could also specialize in particular niches such as maintenance of buildings, furniture or general repairs. A number of schools are available in the United States including the HohoKus School of Trade & Technical Sciences. The electrical trade is one of those careers that have been around for a long time. You know you will always get a job if you have a qualification in this area. It is also one of those programs where you don’t need to spend years in college to become proficient. A six months course will leave you with enough skills to get on with the job and start earning. Some of the core fields which are... ...in high demand that you can study for in six months include control systems, power electronics, digital and analog electronics among others. 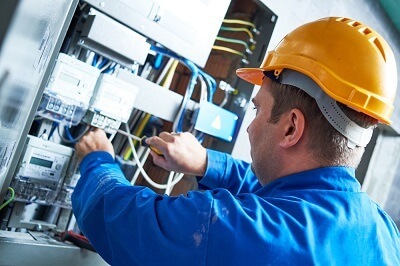 Check out some of the top schools where you can get a short electrical training course located in New York City here. A six months car mechanic training program delivers training to anyone who aspires to be an automotive repair technician. You could do a general course or specialize in a particular field such as brakes, fuel systems or transmission. To enroll for a certificate in car mechanic you will need a high school diploma. 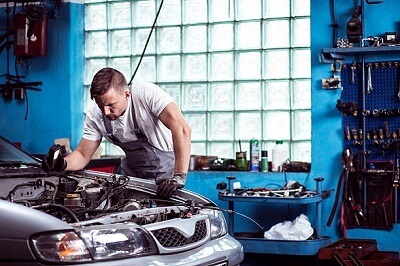 While this training will allow you to get into the workplace, you are most likely to get most of the skills on the job as you work under a qualified automotive service technician. There are a many schools in the United States where you can enroll for this course. Even though welding is an important skill in both manufacturing and construction, to be proficient in the field does not require you to spend a lot of time in school. There are various programs of which some take around six months before you start working as a welder. 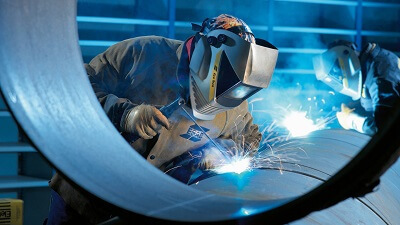 However, even though welding may look simple, the level of skill required is quite high. If you get formal training in welding, you will be able to work in a number of areas including building ships, the manufacture of vehicles and aircraft and also in residential and infrastructure projects. There are a number of schools in the USA where you can apply to study welding which includes among them Virginia College, Delta Technical College, and South Texas Technical Institute. If you’re interested in welding, I have a guide on how to select the best welding school, go check it out, it might help you make your decision. One of those trades that will live forever is plumbing because people will always use their bathrooms. 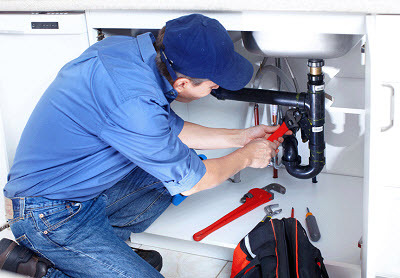 When many people think about plumbing, they imagine smelly pipes and drains. However, a plumbing trade training is able to offer you knowledge about how pipes work and where they fit into a house. You will also learn how to plug in kitchen appliances such as washing machines and gas ovens and manage the safe handling of steam under high pressure. Even though it can take up to two years of apprentice training and four years to do a plumbing degree, if you enroll in a technical school which works in collaboration with a union or trades association, you can qualify much quicker. As you can see from some of the trades above, no matter what your preference is, you can always find training programs that you can complete in six months. However, as you would know, getting a six months training qualification does not necessarily make you an expert in the field. If you spend more time working with someone qualified in your area, you will soon be one. It takes hard work and dedication. The return on your investment will also be great.